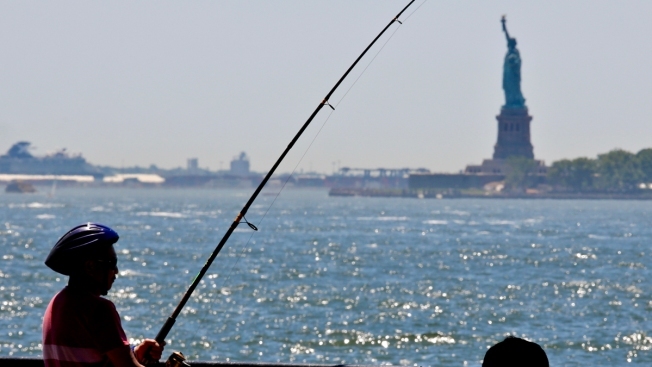 In this June 17, 2018, file photo, a man fishes from the Battery City Park esplanade amid a heat wave in New York City. The weather in the city in a few decades will feel like how Arkansas is now. Chicago will seem like Kansas City and San Francisco will get a Southern California climate if global warming pollution continues at the current pace, a new study finds.